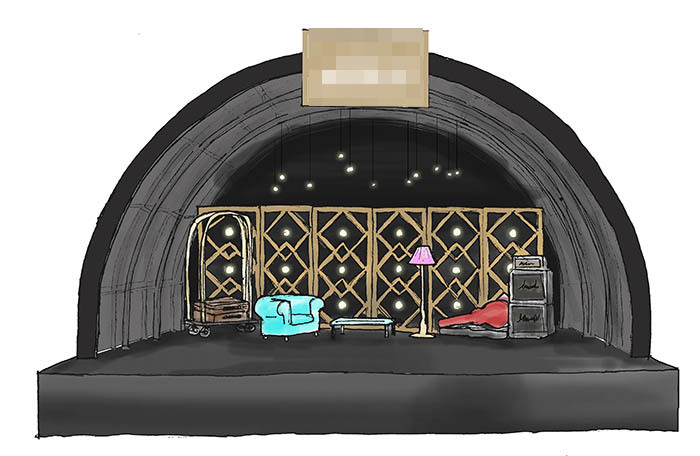 As part of my freelance work this summer I was working for an events agency who are designing the VIP lounge of an upcoming festival (unfortunately I can’t share which, hence the pixelated logos). 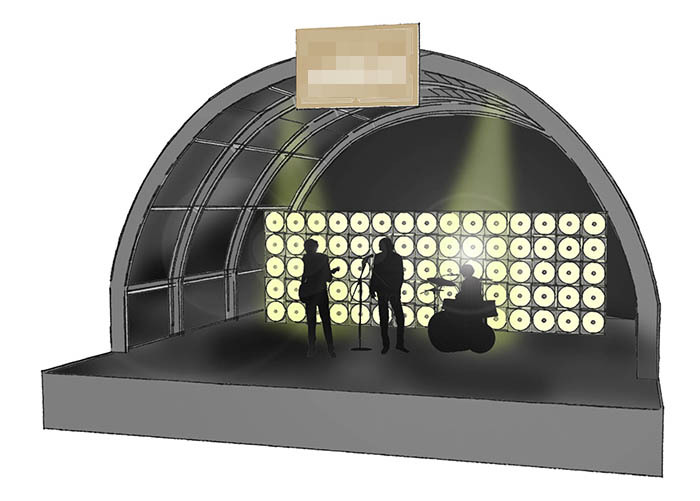 Part of our remit was to design a backdrop for the main, but quite small, stage in this area. It was approx 6x7m and had a fairly small budget to work with. The theme was altered quite frequently by the clients, and we found ourselves with a series of increasingly short deadlines to work with. 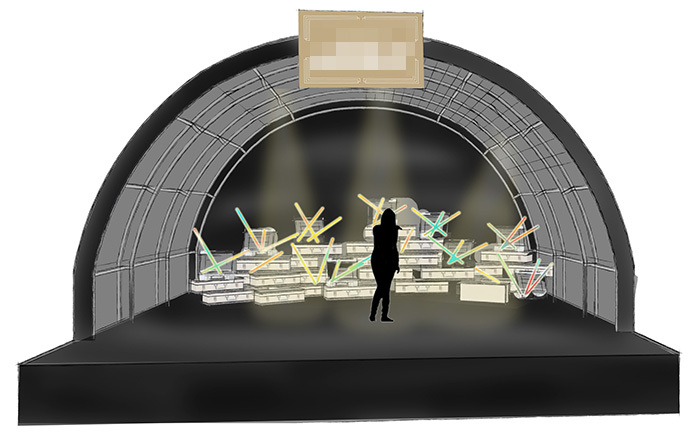 For example we were given a few hours to produce a series of stage designs under new direction with approximate costs. These are some of the images I produced as part of this design marathon. We pulled inspiration from logos and printed graphics the client had made for the event. 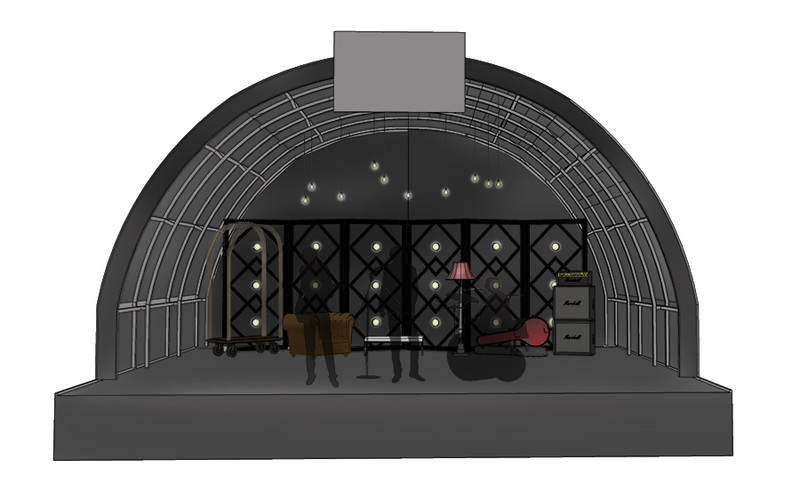 The general idea was a “Rock Hotel”, which used art deco, skulls and Miami influenced furniture and foliage. The example to the right shows a hotel lounge theme with art deco influences in the bespoke screens I designed as a lighting installation. 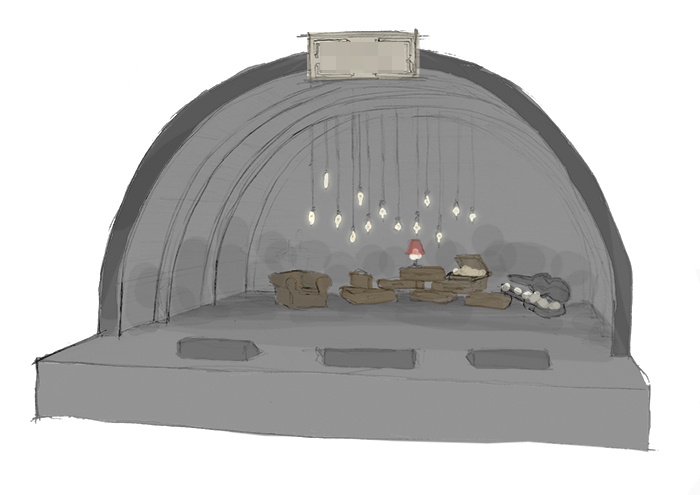 The clients were very taken with the idea of using versa tubes, which are programmable tube lights. 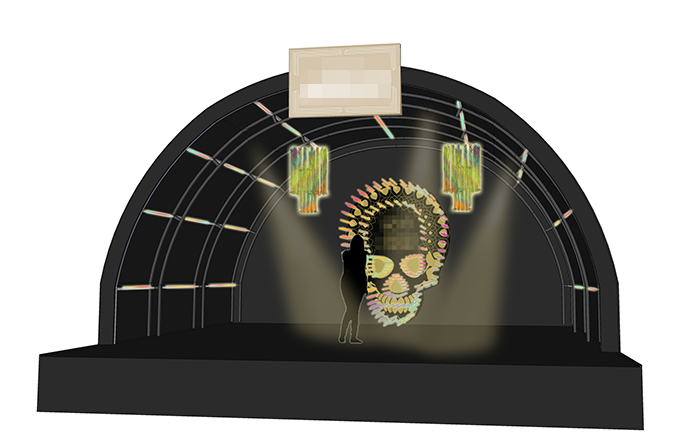 It linked in with some branding material and was a dynamically colourful way to light up the stage. These can be found in most of our design considerations.